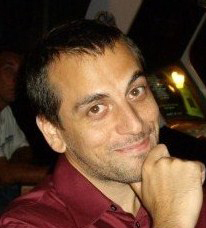 Roman V. Yampolskiy holds a PhD degree from the Department of Computer Science and Engineering at the University at Buffalo. There he was a recipient of a four year NSF (National Science Foundation) IGERT (Integrative Graduate Education and Research Traineeship) fellowship. Before beginning his doctoral studies Dr. Yampolskiy received a BS/MS (High Honors) combined degree in Computer Science from Rochester Institute of Technology, NY, USA. After completing his PhD dissertation Dr. Yampolskiy held a position of an Affiliate Academic at the Center for Advanced Spatial Analysis, University of London, College of London. In 2008 Dr. Yampolskiy accepted an assistant professor position at the Speed School of Engineering, University of Louisville, KY. He had previously conducted research at the Laboratory for Applied Computing (currently known as Center for Advancing the Study of Infrastructure) at the Rochester Institute of Technology and at the Center for Unified Biometrics and Sensors at the University at Buffalo. Dr. Yampolskiy is also an alumnus of Singularity University (GSP2012) and a visiting fellow of the Singularity Institute. Dr. Yampolskiy’s main areas of interest are behavioral biometrics, digital forensics, pattern recognition, genetic algorithms, neural networks, artificial intelligence and games. Dr. Yampolskiy is an author of over 100 publications including multiple journal articles and books. His research has been cited by numerous scientists and profiled in popular magazines both American and foreign (New Scientist, Poker Magazine, Science World Magazine), dozens of websites (BBC, MSNBC, Yahoo! News) and on radio (German National Radio, Alex Jones Show). Reports about his work have attracted international attention and have been translated into many languages including Czech, Danish, Dutch, French, German, Hungarian, Italian, Polish, Romanian, and Spanish.